Using the Xacto knife, carefully cut out the numbers from the foam board. 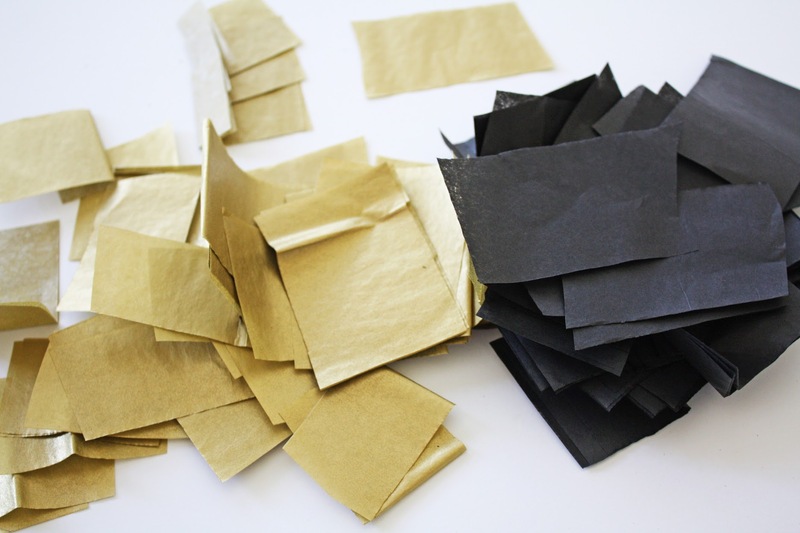 Cut the tissue paper up into 1 inch squares. 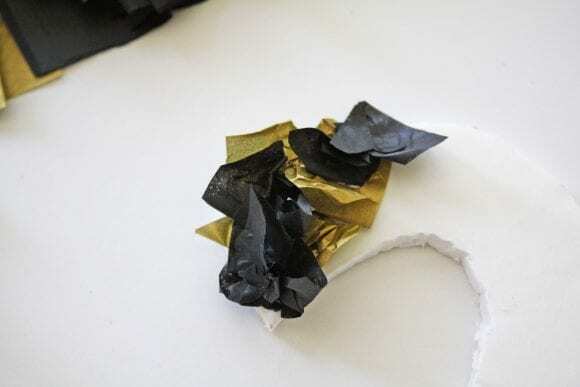 Take a piece of tissue paper and gather or “pinch” together at the bottom. 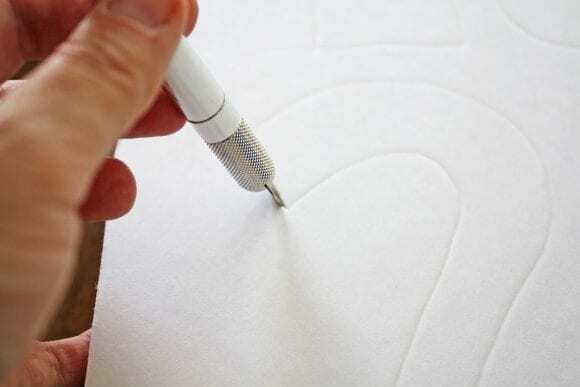 Dip the bottom into the glue and press against the cut­out number. Alternate the colors until the entire number is covered. 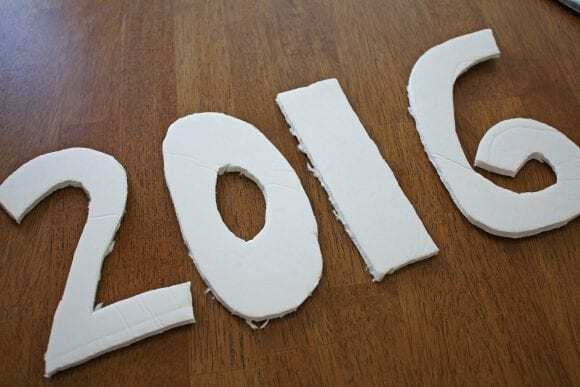 Hot glue the dowel to the back of the numbers. 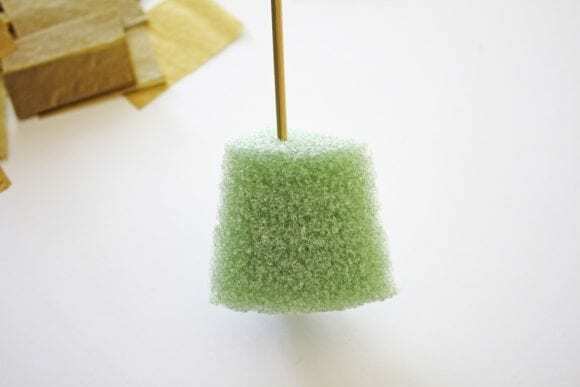 Cut a small piece of floral foam and stick the bottom of the dowels into the foam. This will help your numbers stand up straight! Place the dowel into the mason jars. 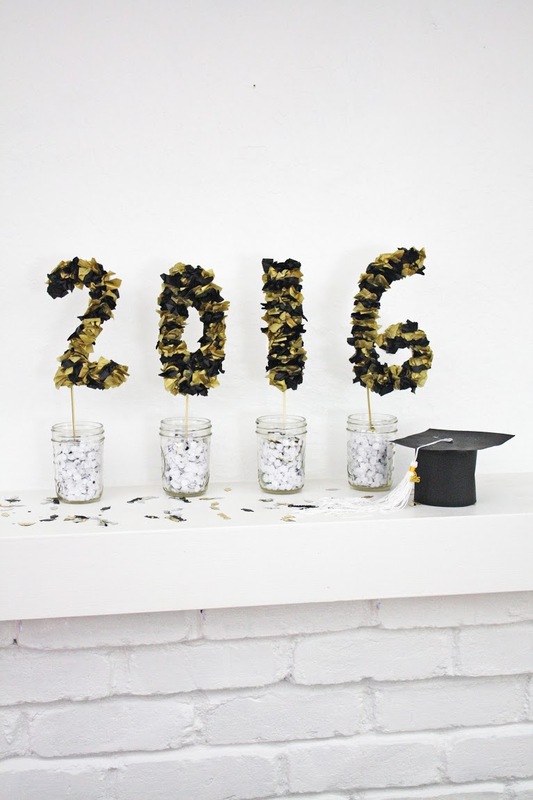 Fill jars with confetti to cover up the green floral foam. 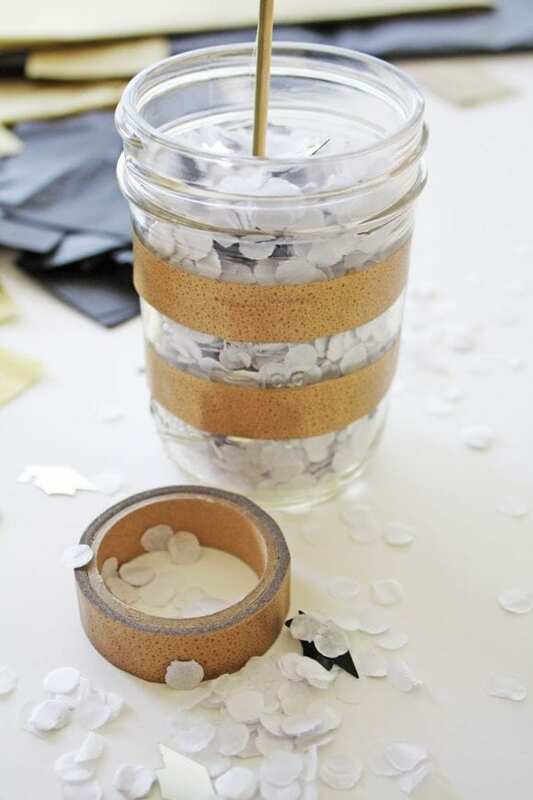 Add some decorative washi tape to the mason jars to dress them up. 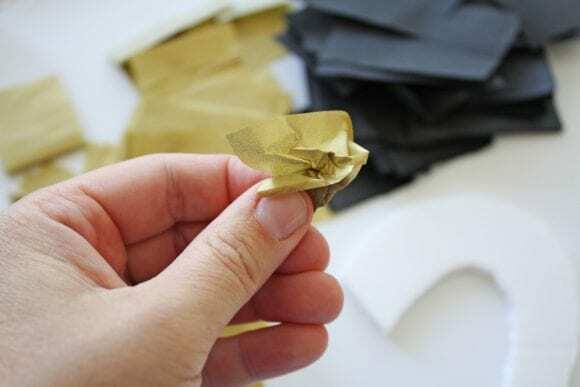 Tip: Squish the tissue paper together to create a more “even” look. 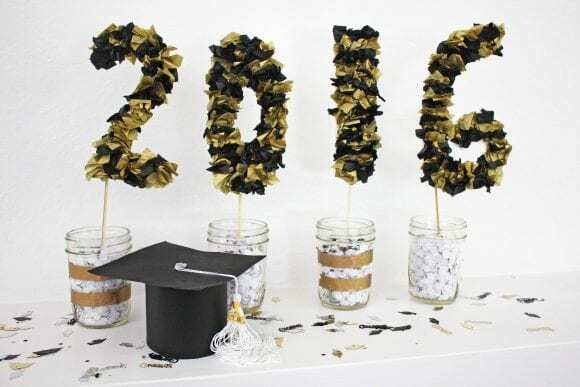 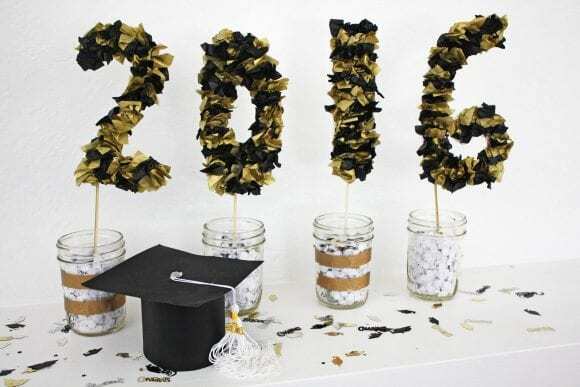 For more inspiration, check out these amazing graduation parties, graduation party ideas, and free graduation party printables from our site.